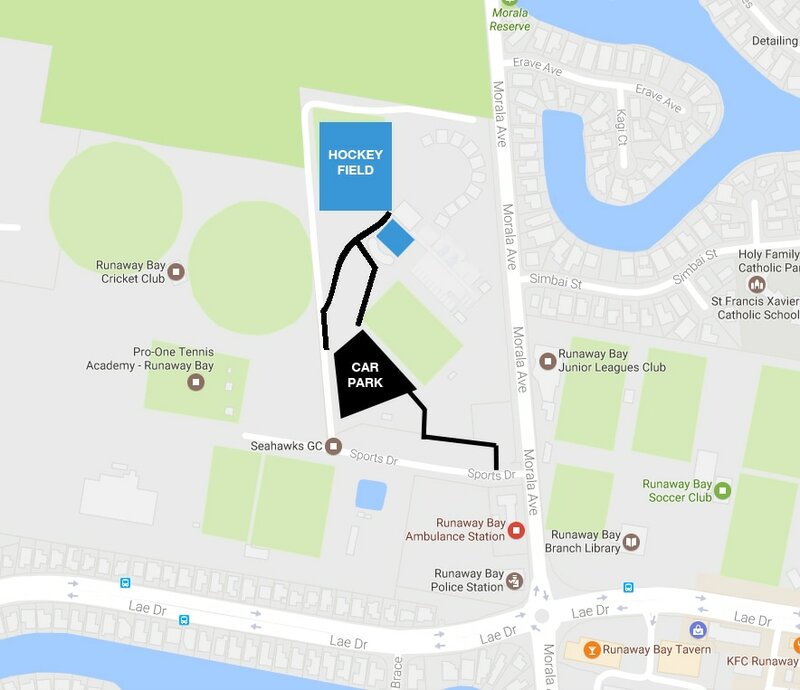 Runaway Bay Sports Super Centre - 6-8pm shared with Capri. We will move training to the new facilities at Keith Hunt Park Labrador as soon as it re opens after the Commonwealth Games. Training will be on Tuesday nights for the entire season. Car park is shown on the map above, there is NO parking directly at the field. It is approximately a 200 metre walk from the car park. This includes all RBSSC buildings and Grounds.